The Nebraska Public Service Commission (NPSC) approved the final segment of the $8 billion Keystone XL pipeline. With the NPSC’s decision in a three-to-two vote, the Keystone XL pipeline cleared its last regulatory hurdle in a back-and-forth struggle that lasted nine years. Portions of the pipeline in Canada and the United States have already been completed and are in use, but then-President Barack Obama had denied TransCanada Corp. federal permits to build the final segment of the pipeline, saying it was not in the national interest. Obama rejected the findings of two separate reports from his own State Department which found the pipeline could safely carry up to 830,000 barrels per day of heavy crude oil from Alberta’s tar sands region to refineries on the Texas Gulf Coast. “America is now a global leader when it comes to taking serious action to fight climate change, and frankly, approving this project would have undercut that leadership,” Obama said on November 6, 2015 in announcing his refusal to grant the permit. The election of Donald Trump as president gave new life to Keystone XL. Throughout his presidential campaign, Trump had lambasted Obama’s rejection of the pipeline plan, pointing to studies estimating its completion would create thousands of jobs and improve U.S. energy security. On May 24, the Trump administration approved completion of the last leg of the pipeline. Former North Dakota state Rep. Bette Grande, a research fellow with The Heartland Institute, which publishes Environment & Climate News, says NPSC’s decision will benefit the United States and Canada alike. James H. Rust, a retired professor of nuclear engineering at Georgia Tech and a policy advisor to The Heartland Institute, says completing Keystone XL would promote a cleaner environment. 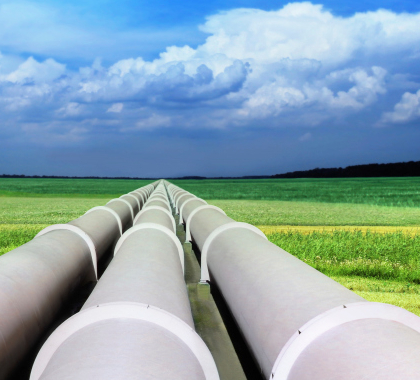 Retired U.S. Environmental Protection Agency economist and scientist Alan Carlin, also a Heartland Institute policy advisor, says he agrees Keystone will benefit the environment. “In recent years, the so-called ‘environmentalists’ have become obstructionists with little or no concern for the economic welfare of the United States or even protecting the environment,” said Carlin. “It is clear oil pipelines are a safer way to transport oil than trains, but environmentalists continue to make construction of oil pipelines virtually impossible. “The line between promoting legitimate environmental concerns and obstructionism is sometimes hard to draw, but in the case of Keystone XL, environmentalists have long since crossed the line into dogmatic obstructionism,” Carlin said. Despite the granting of the permits, questions remain whether the final segment of Keystone XL will be completed. For much of the time the pipeline was under consideration, oil prices exceeded $100 per barrel. With oil now hovering around $50 per barrel, it is unclear whether the pipeline still makes economic sense. The proposed location of the pipeline presents a further problem. The NPSC rejected TransCanada’s preferred route, voting instead to approve an alternative plan moving the pipeline further east to avoid much of the ecologically sensitive Sandhills region. When it proposed the pipeline, TransCanada had said the alternative route was unworkable. After NPSC’s decision, Russ Girling, TransCanada’s chief executive, issued a statement saying the company would have to review the final approval to assess the costs of the project. “[W]e will conduct a careful review of the Public Service Commission’s ruling while assessing how the decision would impact the cost and schedule of the project,” Girling said in the statement.